Technical parts. The technical precision parts are cut by high pressure water jet machines MECAJET and QUICKJET II. 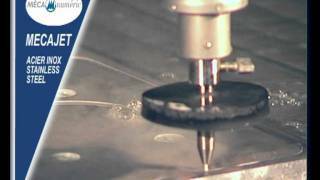 The technical parts in precision engineering are cut by high pressure waterjet cutting machine MECAJET and QUICKJET II.